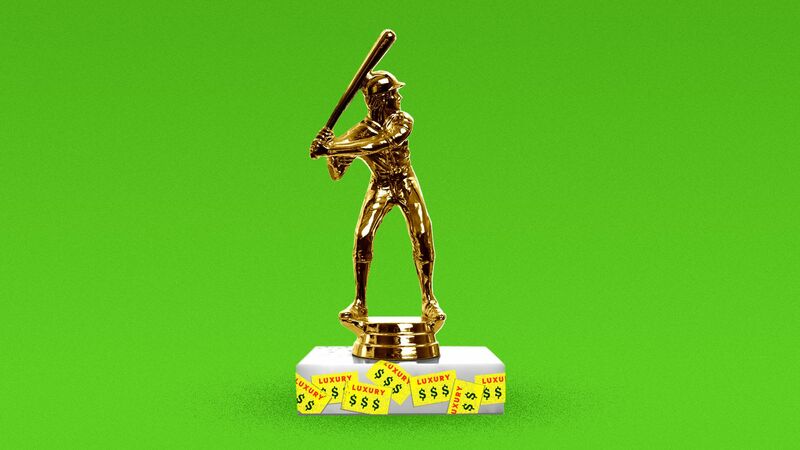 Major League Baseball is the only major U.S. professional sport without a salary cap. But with free agency moving at a glacial pace for the 2nd straight offseason, there is growing concern among players that the league's "luxury tax" has morphed into one. By the numbers: Just 2 teams — the Boston Red Sox and the Washington Nationals — paid the luxury tax in 2018, down from 5 in 2017 and 6 in 2016. Those 2 teams paid a combined $14.4 million in taxes, the lowest amount ever paid under the current system (put in place in 2002). After paying the tax for 15 straight years, the New York Yankees avoided it last season. Same with the Los Angeles Dodgers, who had paid it 5 straight times. We see wild stats all the time, but James Harden's love affair with the pull-up (a.k.a. "off the dribble") 3-pointer this season is downright absurd. By the numbers: Entering last night's game, Harden was attempting a whopping 11.9 pull-up threes per game, which is 6(!) more than the next closest player, Kemba Walker (5.9). It's basically all he does: Harden attempts 12.7 total threes per game, meaning 93.7% of them are pull ups — and just 6.3% are catch and shoot. Over half of Harden's pull-up threes are of the stepback variety, a move he has perfected (even if it's occasionally a travel). The big picture: The pull-up 3-pointer has taken the NBA by storm, with Harden and Steph Curry leading he charge. Still, Harden's 11.9 attempts per game this season look like a typo next to recent league leaders. Go deeper: "Harden is taking a pickax to every traditional idea about how the game should be played," writes the WSJ's Ben Cohen. "He's breaking the sport on a nightly basis. Here's how." 🎥 Last night: "The Beard" dropped a season-high 57 points (and attempted 9 pull-up threes) in the Rockets' 112-94 win over the Grizzlies, his NBA-record 17th straight game with 30+ points. NBCUniversal plans to launch its own streaming service in early 2020 — the same year it broadcasts the Olympics. It will be free for cable TV subscribers and cost $12 per month for cord-cutters. Why it matters: In today's hyper-competitive streaming landscape, a new platform's best chance at success — or better yet, survival — is to make a big splash out of the gate. This gives the platform a horde of early adopters that it can immediately begin interacting with and understanding (and convincing to stay long-term), as opposed to spending the first months chasing user acquisition. NBC is poised to do just that: Guess what else happens in 2020? The Summer Olympics. Guess who owns the broadcast rights? NBC. Guess what they're going to do? Make certain events "streaming only." And guess who's going to download their app to stream them? Everyone. "The National Weather Service is projecting an arctic blast to settle over Kansas City for the Chiefs' game against the New England Patriots. Temperatures at kickoff could range from 10 degrees to well below zero, potentially making it the coldest game in Arrowhead Stadium history." Betting advice: According to research conducted by The Action Network's John Ewing, "overs" have historically performed better than "unders" in cold weather. Current over/under: 56 (after opening at 58.5). P.S. Don't know what any of that over/under stuff means? Reply letting me know, and I'll give you the 30-second explainer. Look: Here's the updated men's singles bracket, and here's the updated women's singles bracket. Nothing too wild has happened yet. Watch: Highlights from Serena Williams' first-round win. She's now 18-0 in the 1st round of the Australian Open, the most such wins overall and the most without a loss, per ESPN. Syracuse 95, No. 1 Duke 91 (OT): Tyus Battle's season-high 32 points helped Syracuse take advantage of a depleted Duke team (Cam Reddish didn't play and Tre Jones got injured early) and pick up a rare win at Cameron Indoor. Notes: Syracuse's Elijah Hughes nailed an 80-foot buzzer-beater to end the first half ... Zion Williamson had a career-high 30 points ... R.J. Barrett was active (23-16-9) but inefficient (8-30 FG, 4-17 3PT). No. 7 Kansas 80, Texas 78: Lagerald Vick scored 20 points and Marcus Garrett added a career-high 20 as the Jayhawks survived a nail-biter at home. Go deeper: With center Udoka Azubuike out for the season, Bill Self would be wise to re-invent the Jayhawks as a defense-first team, writes The Big Lead's Tully Corcoran. Over the weekend, No. 2 Michigan won its school-record 17th straight game to start the season, eclipsing the 16-0 mark set by the 2012-13 Wolverines squad. Question: Can you name the 5 current NBA players who were on that 2012-13 roster? Hint: Michigan lost to Louisville in the national championship that year. 8. The Ocho: The latest in "news you didn't know you kneaded"
"Pizza athletes" from around the country flocked to Columbus, Ohio yesterday to compete for a chance to represent the U.S. at the 28th World Pizza Championships in Parma, Italy this April, writes Axios' Michael Sykes. Four competitions: Largest dough stretch, fastest pie maker, fastest box fold and ... freestyle acrobatics (here's what that looks like). We have a winner: Scott Volpe, owner of Fiamme Pizza in Tucson, Ariz., is headed to Italy after placing 1st in freestyle acrobatics. 🍕 Grab a slice: Want to visit one of the pizzerias that Scott and his fellow U.S. Pizza Team members own? Find one near you. 127 years ago today, James Naismith published the original rules of "Basket Ball" in Triangle Magazine, a monthly journal published by Springfield College, where Naismith was a graduate student and instructor. 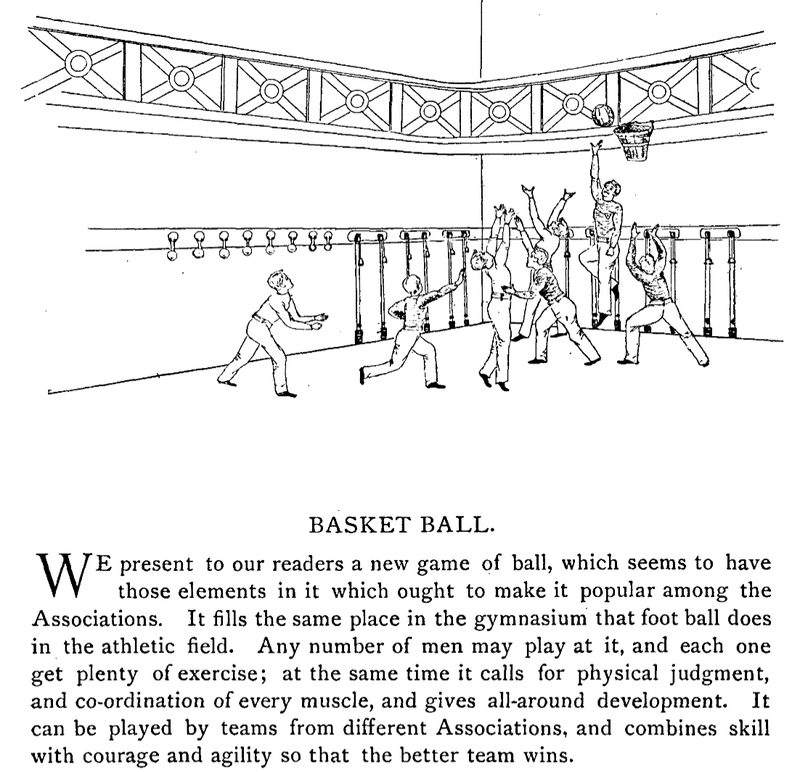 "We present to our readers a new game of ball, which seems to have those elements in it which ought to make it popular among the Associations," the article began. Yup, people actually used to write like that. Go deeper: Read the original 13 rules.